1907-08 Merryweather fire engine, ex Metropolitan Fire Brigade. 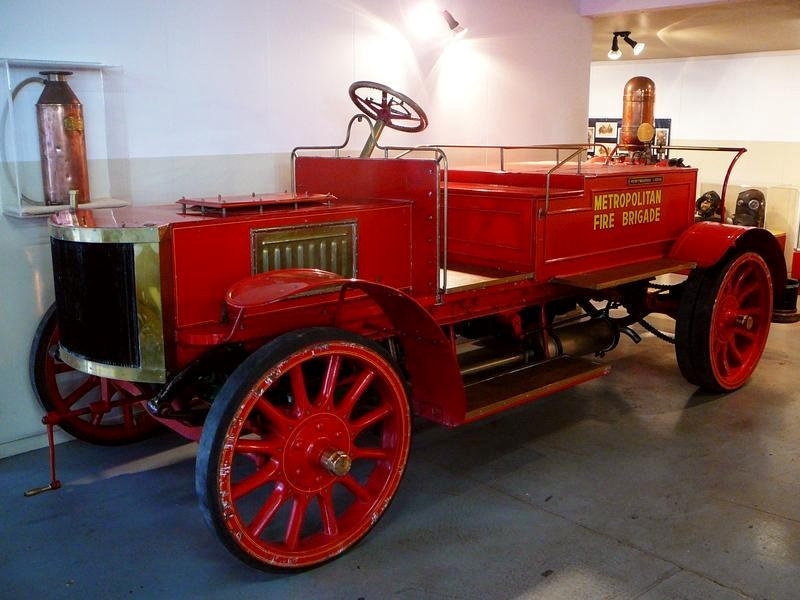 This fire engine is considered to be the second oldest motorised fire engine in the world. The Science Museum in London has a similar engine dating from 1904. This vehicle served with the Metropolitan Fire Brigade in Sydney, before being brought to New Zealand in 1969 by a private individual. 4 cylinder, 2 bank engine, solid tyres.